The richest field in track history took center stage Monday night at Harrington Raceway in the $317,000 Bobby Quillen Memorial as Joe Muscara's Mister Big ($2.60, Brian Sears) earned his ninth consecutive win in 1:51.2. Joe Muscara's Mister Big will bid for his ninth win in a row in the October 20 2nd Annual running of the $317,000 Bobby Quillen Memorial Final. Don't miss an awe inspiring night of racing as the sport's best return to Harrington. The 2nd Annual Bobby Quillen Memorial Pace got underway Monday at Harrington Raceway and Joe Muscara's Mister Big ($2.60, Brian Sears) was as advertised, winning his eighth consecutive race in 1:51.1 in his $30,000 elimination. Palone Ranger (1:51.4, Ron Pierce) prevailed in his division. 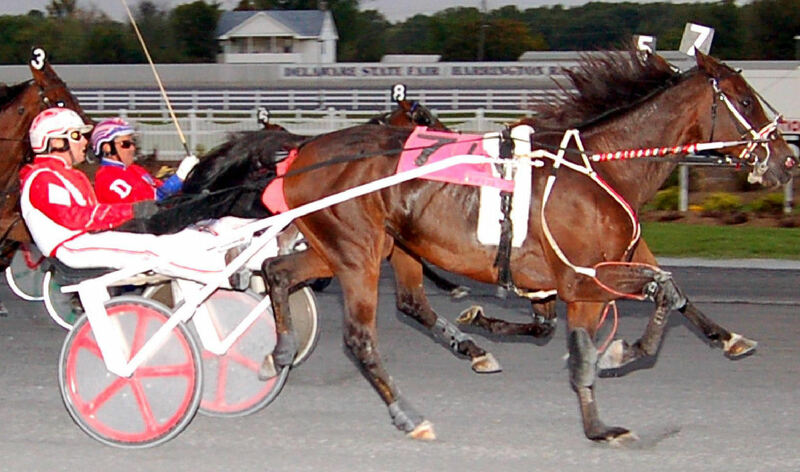 Five $20,000 Delaware Standardbred Breeders Fund (DSBF) events for 2-year-old colt and gelding pacers were contested Wednesday at Harrington Raceway. The Delaware Standardbred Breeders Fund (DSBF) stakes got underway for 2-year-old filly pacers Tuesday at Harrington Raceway as Green Racing and James and Brent Outten's Little Bit Tricky ($3.80, Ross Wolfenden) was the fastest elimination winner in 1:56.3. Bob Stevenson Inc. and Eric Davis' 14-year-old trotter Stormont Northstar ($18.60, Eddie Davis Jr.) won for the 71st time in his career Wednesday at Harrington Raceway. Meanwhile Davis Jr. won seven races on the card. Wayne Givens and Niel Gargiulo's Brian P (Brandon Givens) earned his fourth straight win at Harrington Raceway Monday in the $20,000 Junior Open in 1:52.2. It was one of five wins on the card for Givens. Bob Stevenson and Eric Davis' 14-year-old Stormont Northstar ($16.20, Eddie Davis Jr.) earned his 70th career win Wednesday in 1:59.1. He has won more races at Harrington than any other in track history, with 34 victories on the First State's half-mile racetrack. 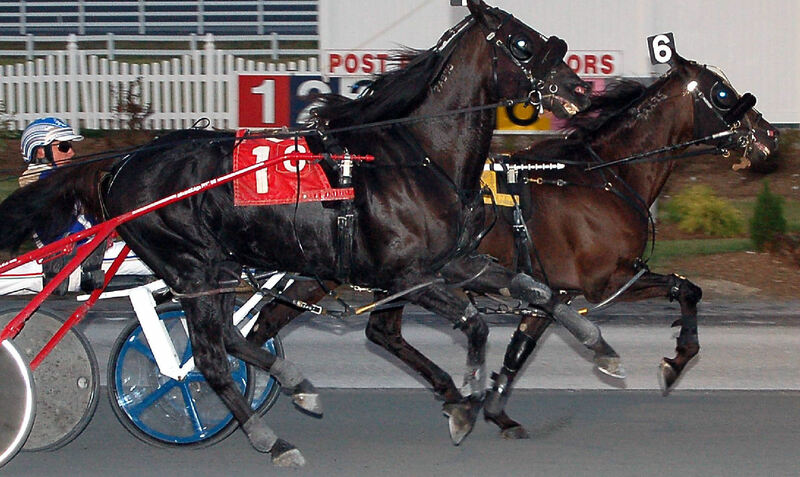 Driver Jim Morand won seven races on the Harrington Raceway program Thursday. The 43-year-old driver and winner of 7672 races lifetime, became one of only four drivers in track history to win seven races on one program. © 2019 Harrington Raceway. All rights reserved.